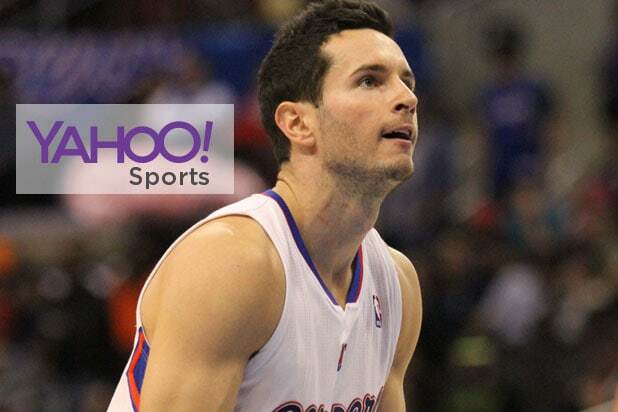 Los Angeles Clippers guard J.J. Redick will become the league’s first active player to host his own weekly podcast when “The Vertical Podcast with J.J. Redick” launches as part of Yahoo Sports NBA reporter Adrian Wojnarowski’s new project. Wojnarowski broke the news on “Garbage Time with Katie Nolan” while discussing his new site The Vertical, which launches on Friday. “He is going to talk to players in the league, teammates, coaches … there’s never been an active player who has taken on something like this,” Wojnarowski told Nolan. DGital Media and Yahoo Sports are partnering up to publish new episodes each Tuesday, along with regular breaking news reports throughout the year. “‘The Vertical Podcast with J.J. Redick’ won’t just be about basketball; it will give fans a great listen into the storytelling narrative of an elite athlete living and playing in Los Angeles, whose background appeals to such a wide audience,” DGital Media COO Chris Corcoran said.